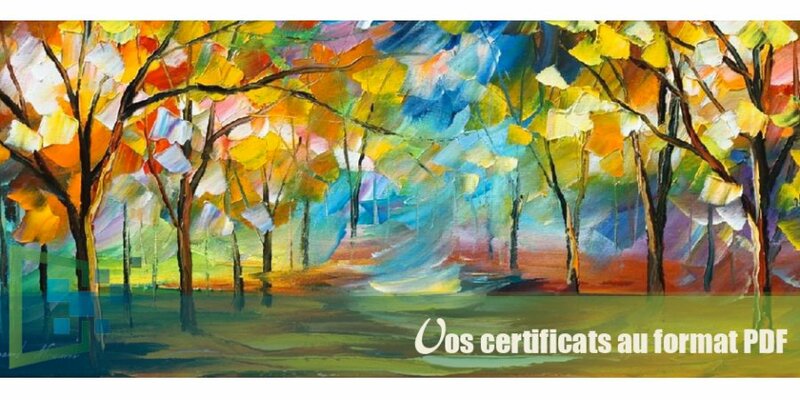 Purchase of Art: The certificate of authenticity is obligatory to establish that a work is authentic and was realized by the Artist who sells it. It must include several mandatory statements to be valid. Purchase of Art: You must provide a certificate of authenticity to the buyer (even if he does not claim it) accompanied by the sales invoice of your work (see our advice on VAT here: VAT for your work. Attention: Never indicate the price of the work on the certificate of authenticity! The price must only appear on your invoice. The present certificate of authenticity and the particulars contained therein constitute the right of ownership of the work. Il y a actuellement 27 connectés.